Busy February for all the kids! In place of the regular Youth Group and Bible Drill, we will be gathering at the Gilliland’s home @ 2116 Pine St. Texarkana, TX. We will gather from 5pm and stay until the end of the game! Or whenever your first child falls asleep, whichever comes first. Please bring a food or drink to share! The whole family is invited to come! It would be helpful to know numbers, so if you plan to be there so please let Aimee know. February 14th: Happy Valentine’s Day! For Valentine’s Day we are giving you a few hours to be the loving couple when you got married. Drop your kids off at Zoohaa Adventure Zone (1801 N Robison Rd, Texarkana, TX) at 3:30pm. Please bring $25+money for snacks if desired. 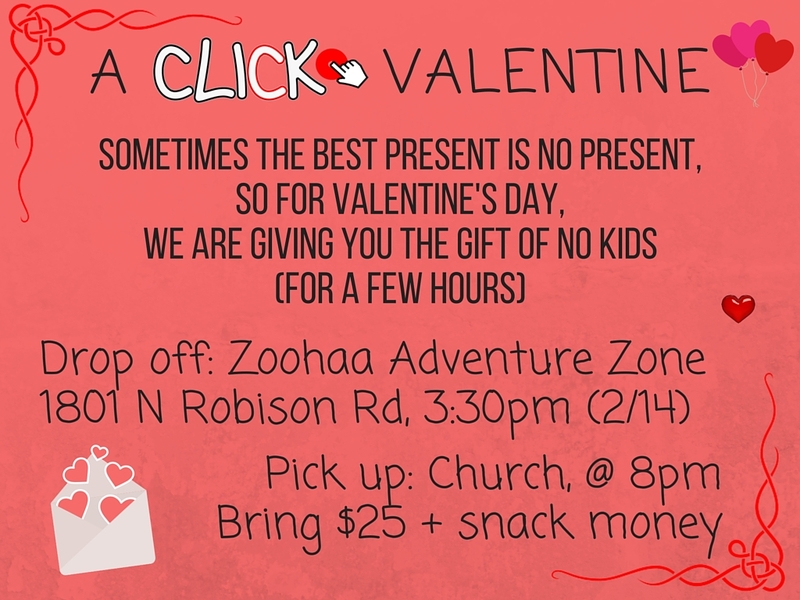 We will transport your children to church at 6pm where we will have a Click & Youth Valentine Party. Pick up is at 8pm. Girls Day In was such a success we are having another one! 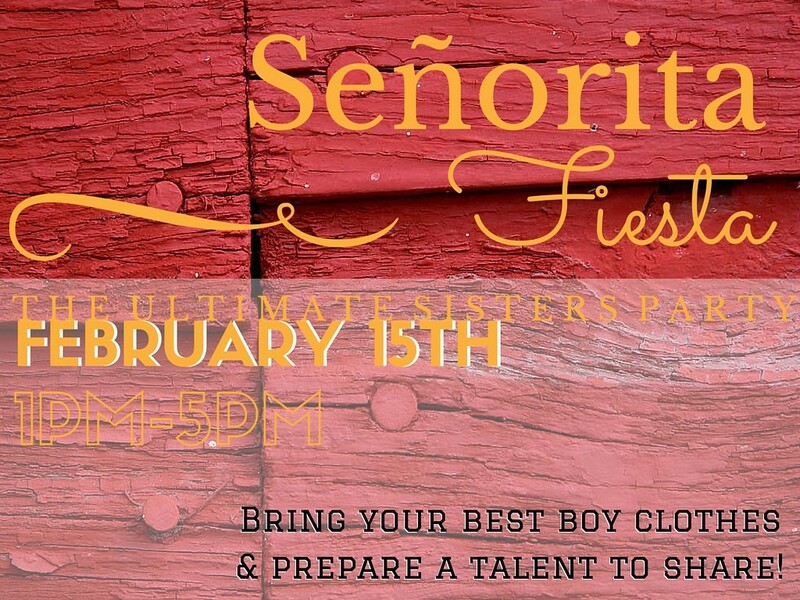 Señorita Fiesta was designed by some of the girls of our church! 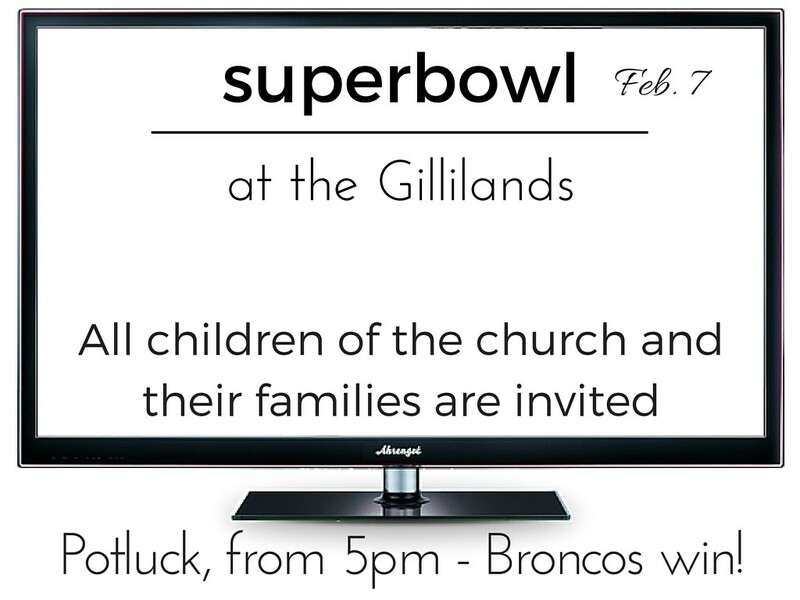 There will be no meal but we will have snacks to munch on throughout. They are invited to dress as anything they would like but the girls who planned this wanted to dress as boys. Also, your girls have talents and if they would like to share them, they are invited to come show it to us! Be it an instrument, a dance, a magic trick, a gymnastics act, a poem, or even a dish that they prepared at home to share! For the past few months the boys have been asking for a time to themselves around the church and I finally caved! 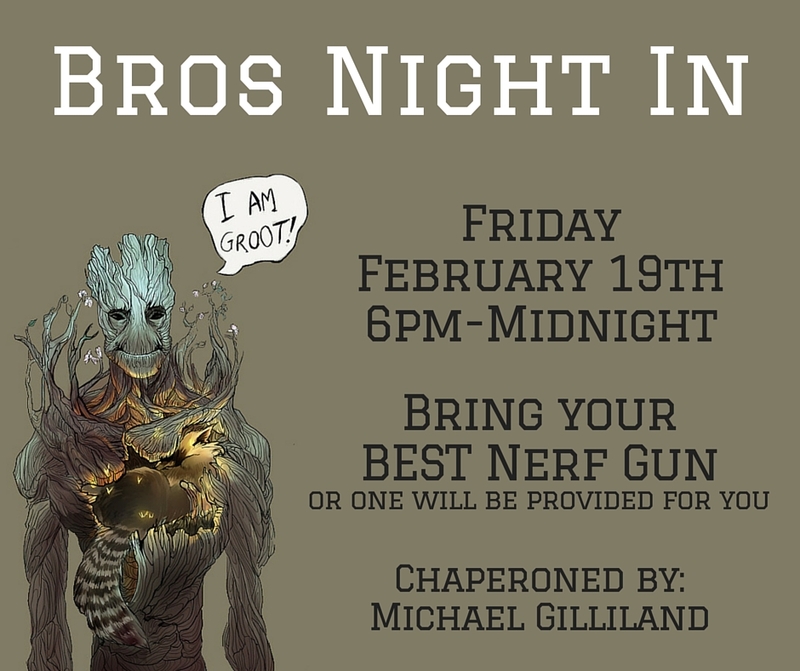 The boys will be having their very own Bros Night In. The Older Youth Bros and the Younger Click Bros will be having fun together. Scheduled is a Bible Study on being Godly Men, a Nerf Gun War, Flag Football, and a Ping Pong Tournament to name a few. It will be mainly chaperoned by Michael Gilliland. 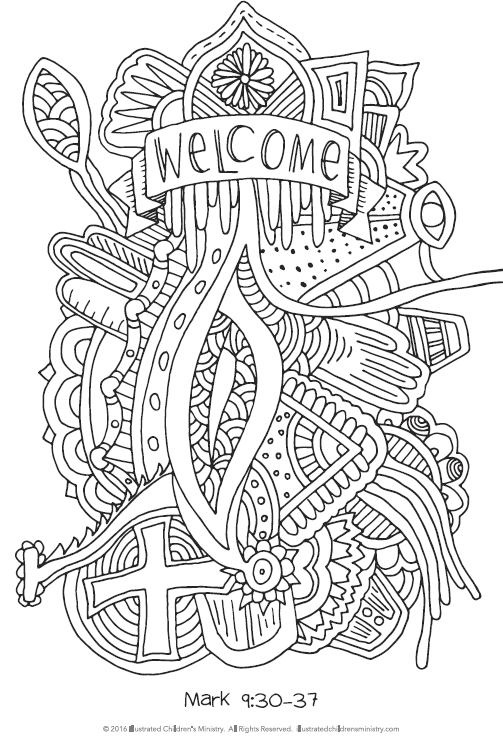 Also, throughout Lent, your children are invited to join in coloring a large coloring sheet cooperatively such as one below that will become Sacred Art for us to display in the Narthex. I have been contemplating different ways that we can have the Sunday Worship be more worshipful for the kids and this is one of the ways that I would like to experiment with the kids. Thank you for printing these for us Texarkana Digital Press. I know it won’t be a very smooth transition at first, so please bear with us as we do this. The first Sunday (February 14th), we will be taking them into the sound room right before the sermon, and next week it will likely look a little different. We hope to see your kids at every single thing!